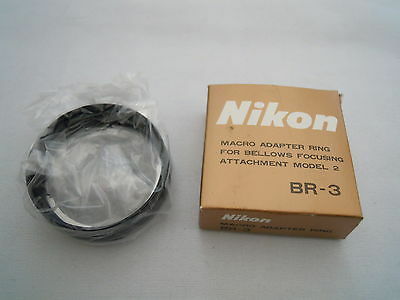 3 Tube Extension Tube Set Nikon Fit Manual in good condition. 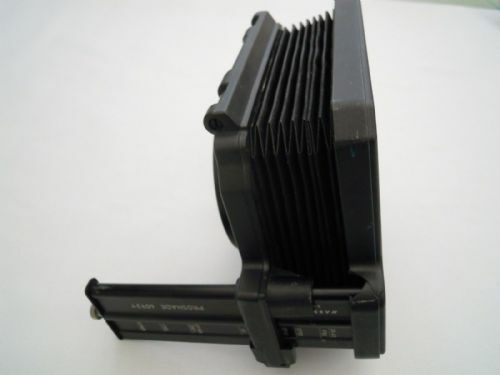 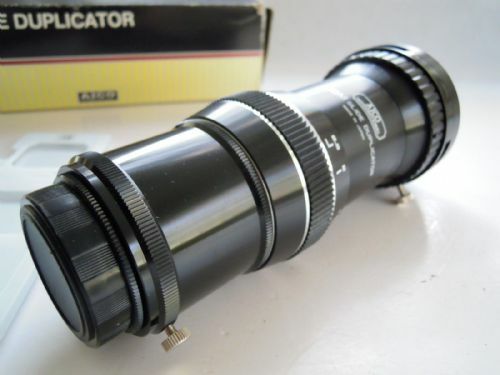 AICO ZOOM SLIDE DUPLICATOR IN EXCELLENT CONDITION. 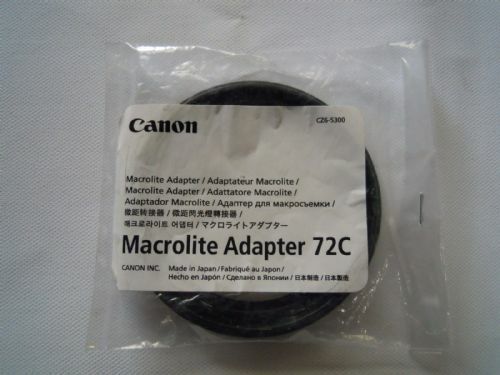 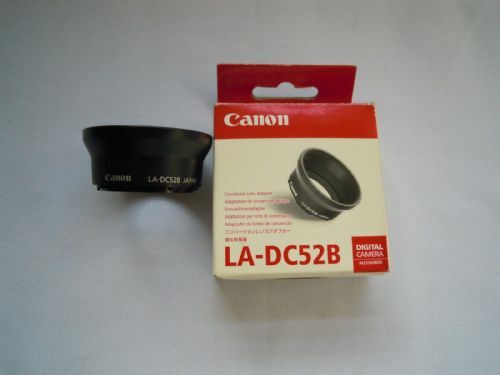 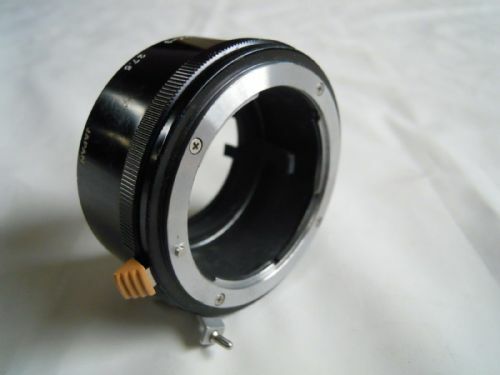 Canon Tripod mount Ring B (W) in very good condition for 70-200mm F2.8L Mk2. 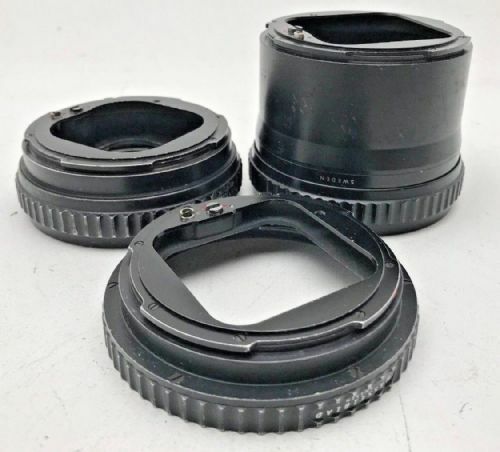 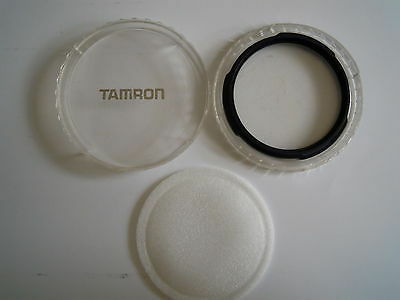 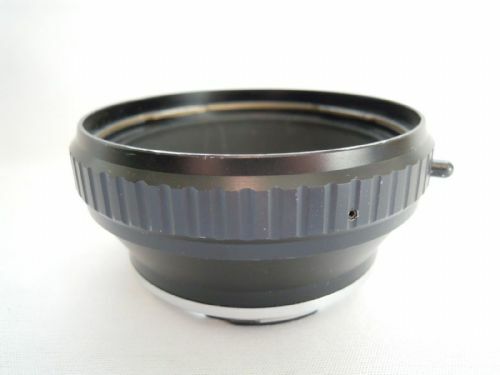 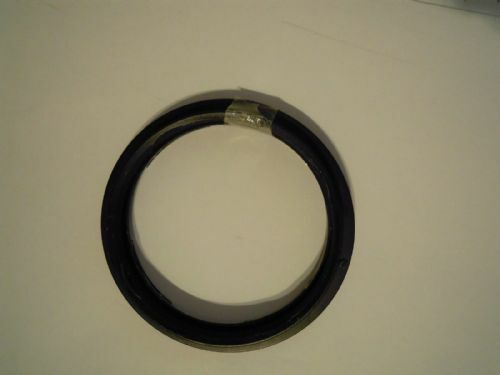 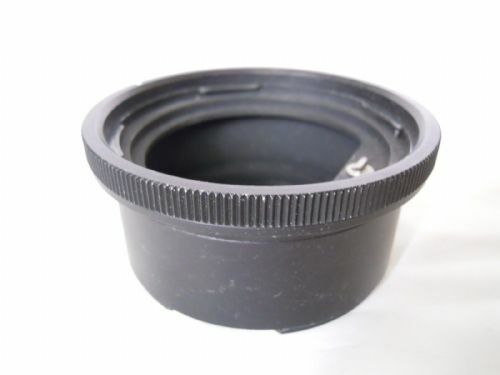 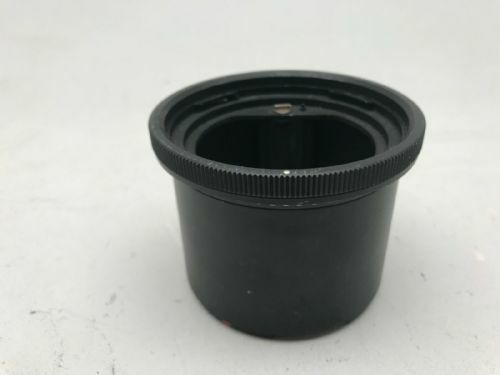 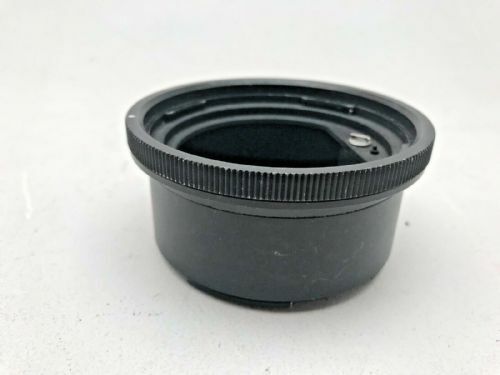 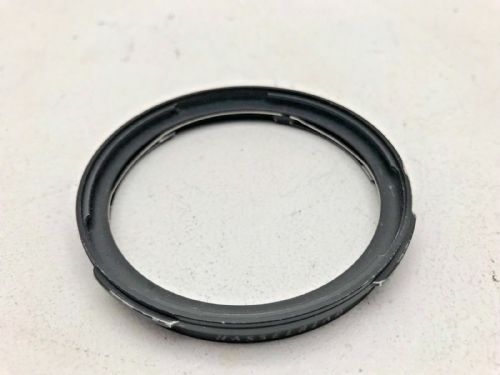 Hasselblad 60 series to 50 series lens filter reducing adapter in excellent condition. 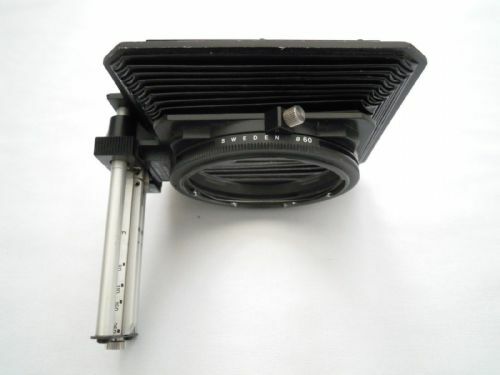 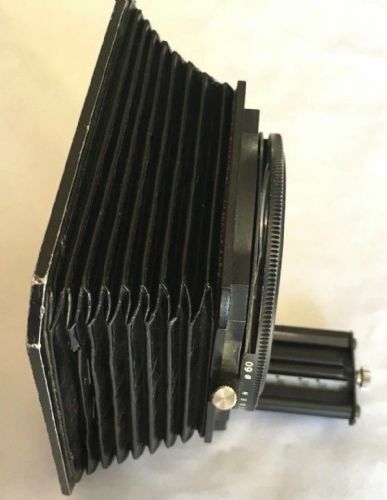 Hasselblad collapsible pro bellows variable focal length lens shade with 60 CF series adapter ring. 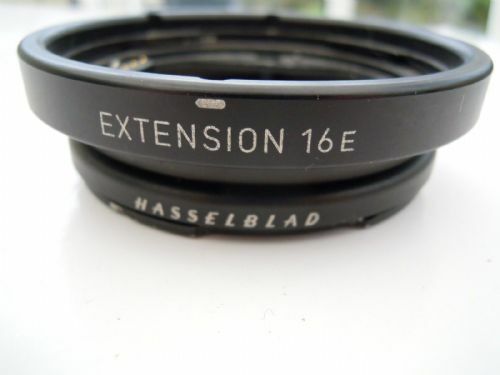 This Hasselblad Extension Tube 16E is in Excellent condition. 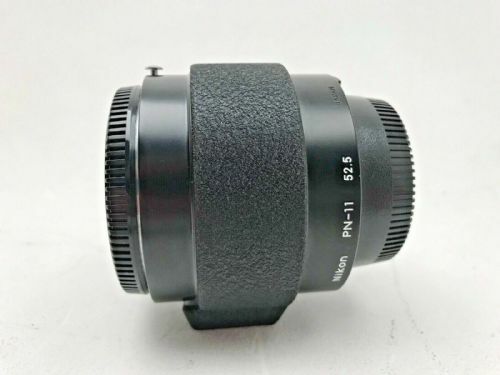 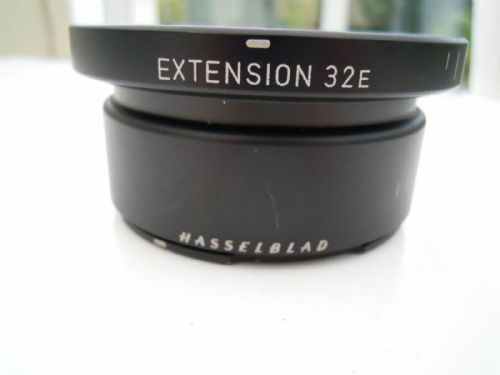 This Hasselblad Extension Tube 32E is in Excellent condition. 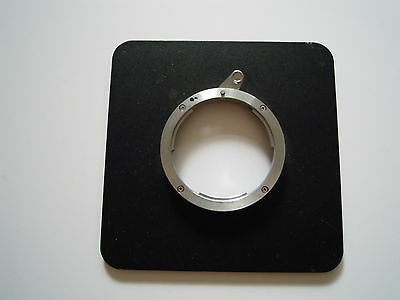 Hasselblad Pro Lens Shade with CF60 Adapter In good condition. 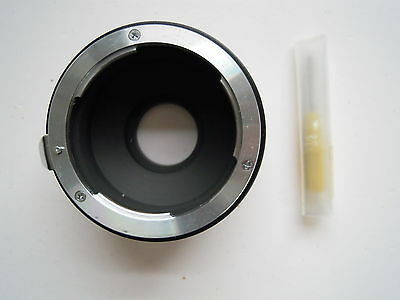 Hasselblad Pro Lens Shade 6093T with CF60 Adapter In Excellent condition. 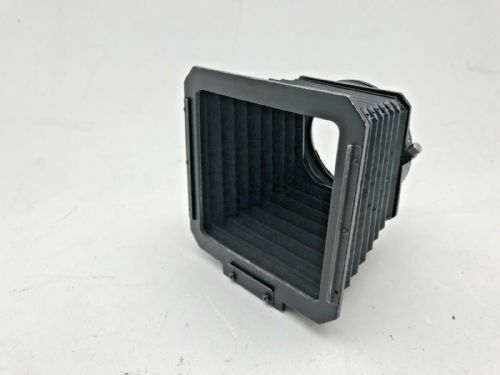 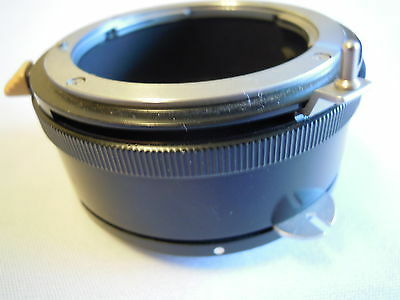 HASSELBLAD PRO LENS SHADE BELLOWS LENS HOOD WITH 60 SERIES ADAPTER. 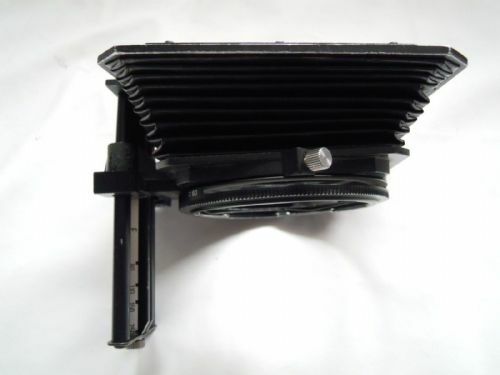 IT IS IN GOOD CONDITION HOWEVER SOME BASIC REPAIRS HAVE BEEN MADE WITH A STAPLE OR TWO, TO ATTACH THE BELLOWS TO THE FRAME. 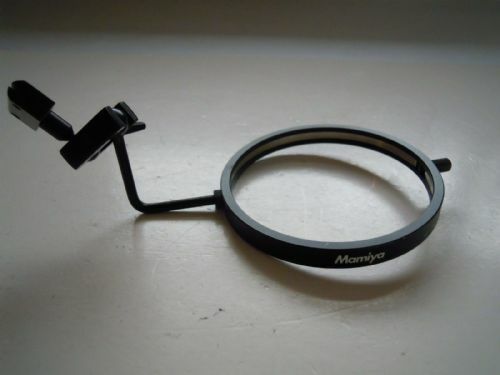 EASY FIX WITH SOME GOOD ADHESIVE INSTEAD. 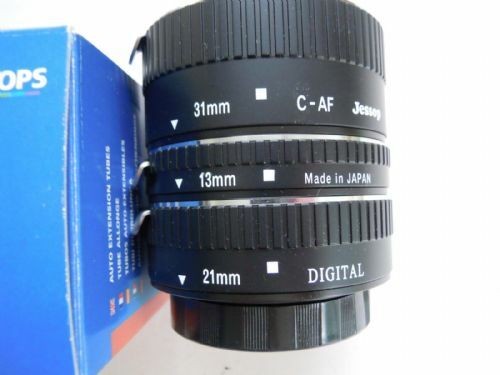 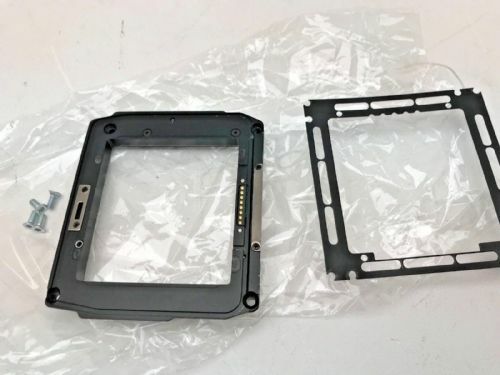 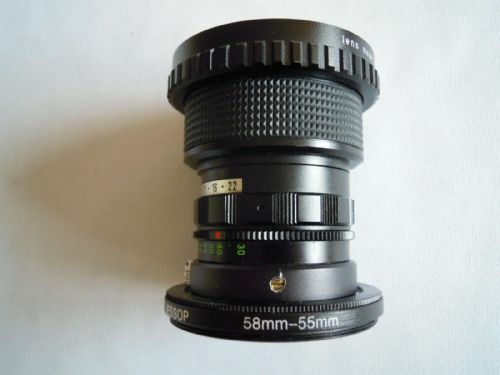 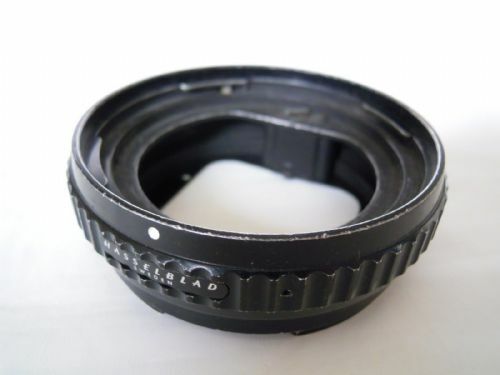 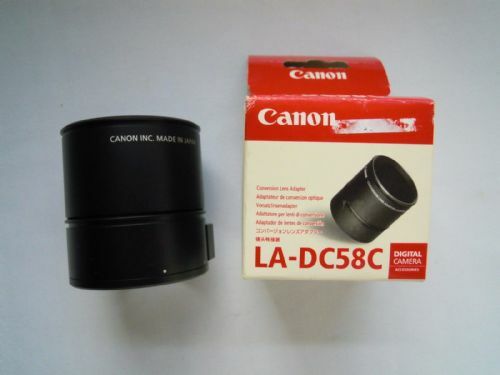 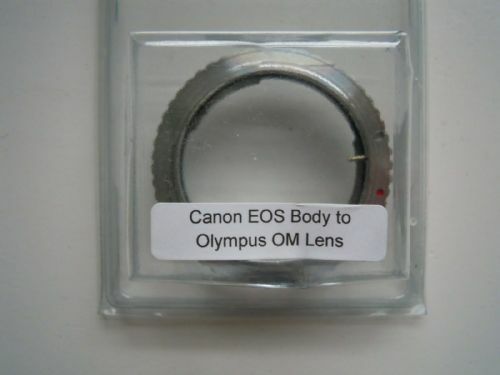 Lens to body adapter, Olympus OM lens to adapt to Canon EOS Body . 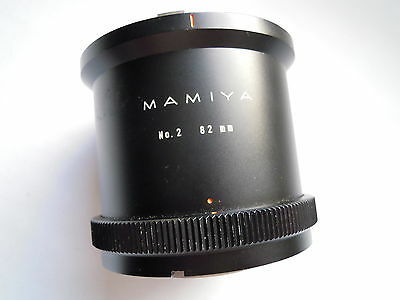 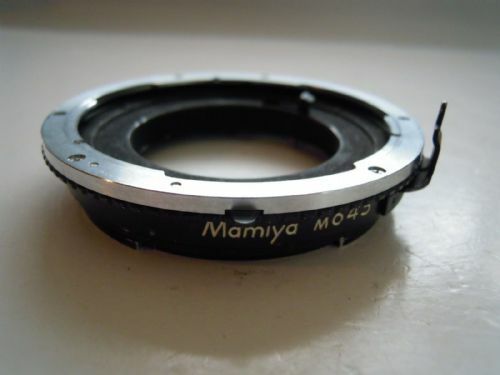 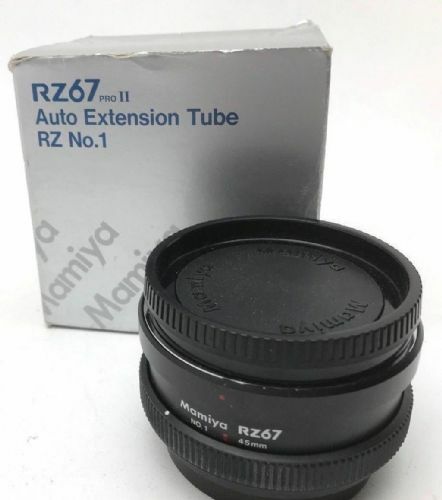 Mamiya RB Extension Tube No2 82mm in Very good condition. 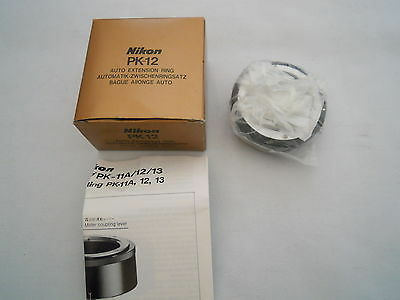 Nikon Lens adapter for Panasonic WV-LT22 . 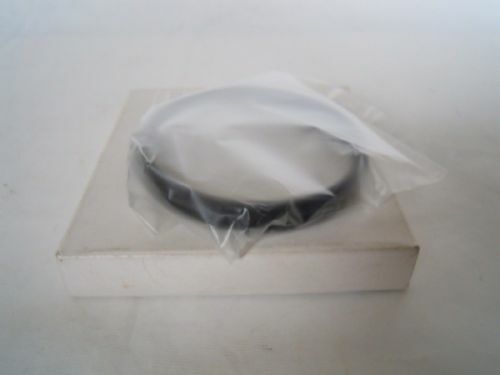 New but not with original packaging. 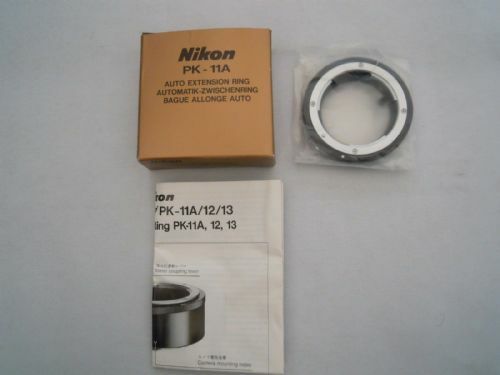 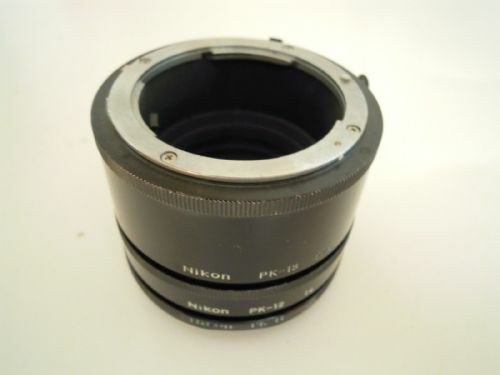 Nikon PK-11A 8 extension Tube Excellent Condition. 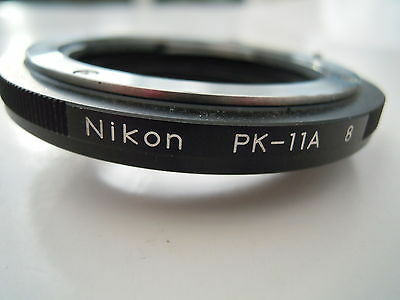 NIKON PK-3 IT IS GOOD CONDITION. 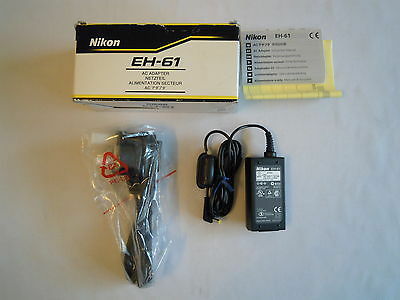 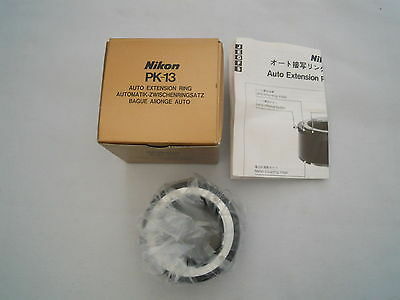 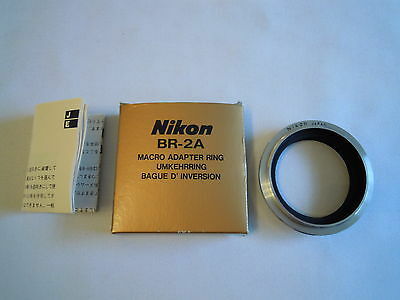 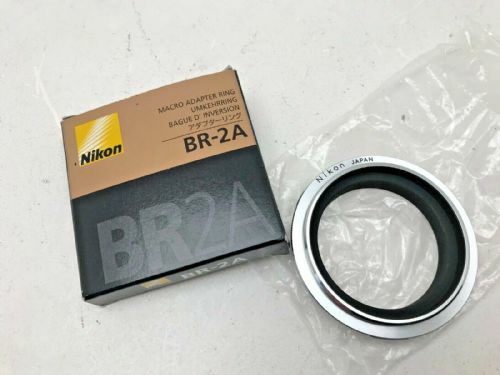 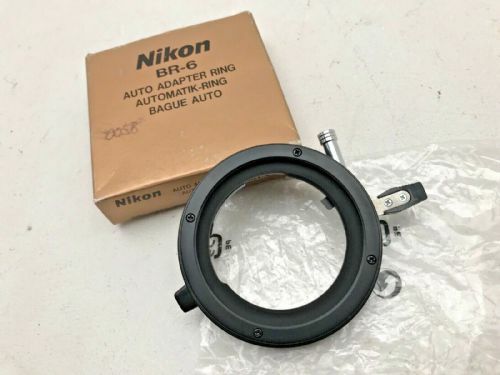 NIKON PK-3 ADAPTER IN GOOD CONDITION. 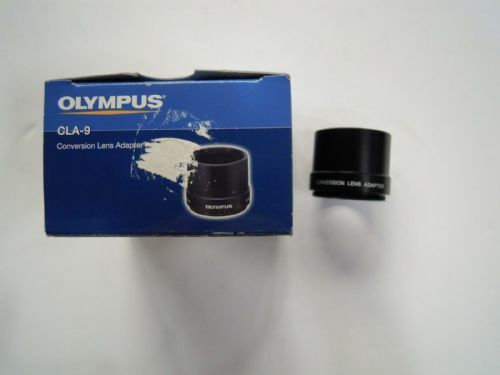 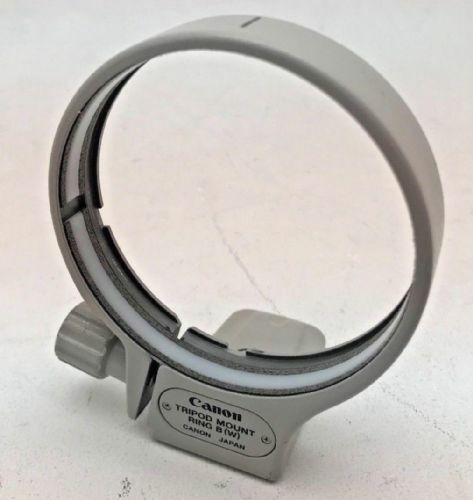 Olympus CLA-9 Conversion Lens Adapter new. 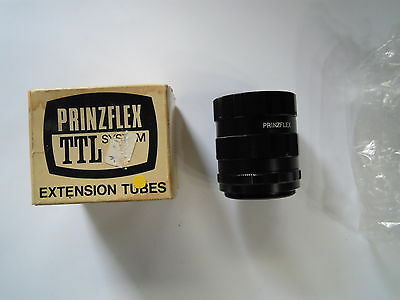 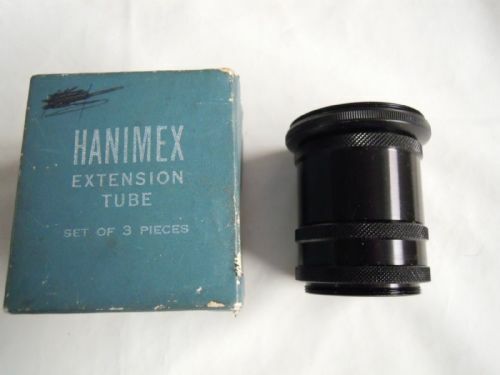 Prinzflex TTL Sysem Extension Tube Pentax screw fitting in very good condition. 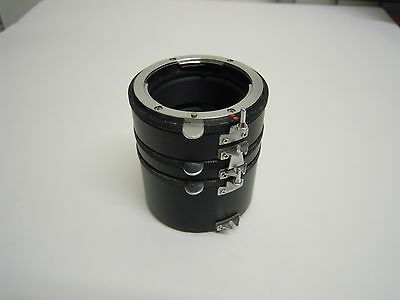 SINAR SCNEIDER SUPER ANGULON 90MM F8 MULTICOATING IN SINAR PANEL IN VERY GOOD CONDITION. 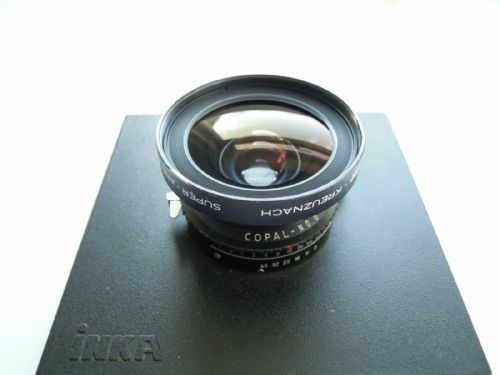 SLOGGER FISH-EYE LENS 0.15X WITH CANON ADAPTER THE LENS IS IN VERY GOOD CONDITION. 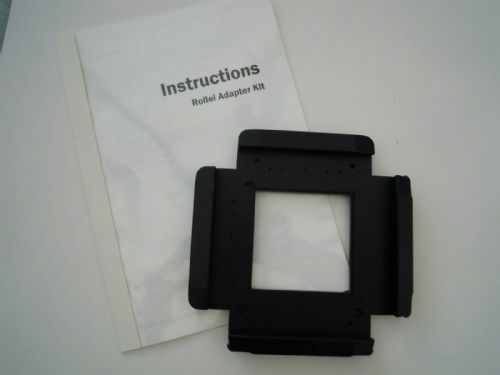 THE ZIP ON THE CASE IS BROKEN.